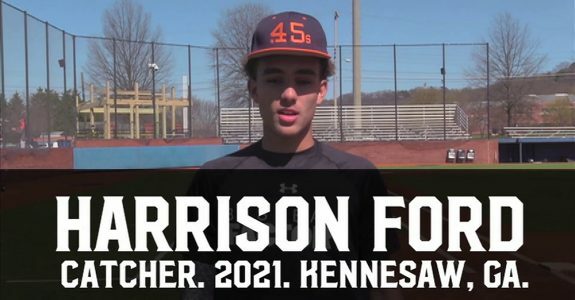 At our Chattanooga, TN Under Armour Baseball Factory National Tryout in March of 2018, Harrison showed off his outstanding skill set. A 2021 grad, Ford is a pure catch and throw backstop who also will make an impact with the bat. Showed off a cannon for an arm (99 mph raw velocity) with impressive pop times of 1.87. Offensively, he shows an open, athletic setup. Gets good hand separation and delivers the barrel with leverage and power, showing best to the pull side. He can also swing the bat, making Harrison a freshman with an extremely bright future.